It is estimated that over half of what goes into our bins can be recycled or composted. Recycling of waste has been described as the processing or reclaiming of used items to provide raw materials for new ones. Local authorities play a primary role for providing recycling collection for household waste. 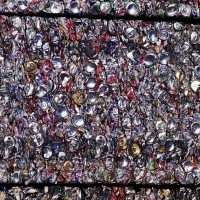 EU and UK laws and other regional laws and policies from the National Assembly for Wales, the Scottish Parliament and Northern Ireland Assembly provide recycling targets for local authorities. In order to achieve these targets, most local authorities have expanded their recycling facilities (or are in the process of doing so) to encourage higher recycling and composting rates for waste. This explains the increase the provision of doorstep and kerbside recycling services by most local authorities. These services are designed to minimise the need for householders to drive to dedicated recycling centres that may be a distance from their homes. If your area does not yet have a doorstep or kerbside recycling scheme, you can contact your local authority about this. In the meantime, please continue to use your household waste recycling centre. If some of the items to be recycled are bulky, you can contact your local authority to see if they offer collection services for household bulky goods. Most offer such services and will collect your bulky items for reuse and recycling. Certain household bulky items are collected for free while others entail a collection charge. If in doubt, contact your local authority for further information. Under the WEEE system, you can also arrange with a retailer of electrical and electronic goods (EEE) to collect an old electrical item when you purchase a new one.